John Blyth Hayes, farmer, and Premier of Tasmania from 1922 to 1923, was born on 21 April 1868, at Bridgewater, Tasmania, son of Joshua John Hayes, farmer, and Elizabeth, née Blyth. He was the grandson of John Hayes, MHA, and both cousin and brother-in-law of E. F. B. Blyth, MHA, who would later serve in his ministry. John Blyth was educated by his mother, and the details of his early life are uncertain, though he later spoke of joining the mining rush to Western Australia in the late 1880s or early 1890s, and of working as manager of an ore reduction and cyanide works at Wiluna. In the 1900s he established himself in the Scottsdale district of north-eastern Tasmania where he farmed and was generally active in rural matters. He served a term as president of the North-Eastern Agricultural and Pastoral Association, and was secretary of the Scottsdale Board of Agriculture between 1912 and 1920. Hayes entered the Tasmanian House of Assembly in 1913 as ‘the farmers’ candidate’ on the Liberal ticket for Bass, and, perhaps due to the collapse in short order of two governments, became a minister in the first Lee (Liberal, later Nationalist) Government in April 1916. He was said to be a competent administrator. According to the Examiner, he was not a man who was ‘fond of the limelight’. Reserved in manner, ‘he spoke in the Assembly only when he had something to say, and his utterances were characterised rather by shrewd common-sense than by any oratorical fireworks’. He became Deputy Leader of the Liberal Party Opposition in September 1915, when W. H. Lee replaced N. K. Ewing as leader. With the defeat of the Earle Government in April 1916, Hayes became Minister for Lands and Works (1916–19), Minister for Works (1919–23) and Minister for Agriculture (1916–23) in the Lee Government. 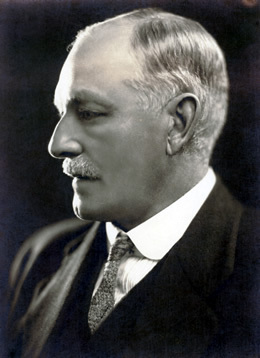 As Minister for Agriculture, with responsibility for the Hydro-Electric Department, Hayes was reported as ‘one of the best the state has ever had’, showing himself ‘a master of tact in dealing with the farmers and orchardists’. The emergence of the short-lived Tasmanian Country Party in the 1922 election brought Hayes to the premiership in August of that year. Unwilling to accept Lee’s leadership, and unable to form a government of its own, the Country Party helped engineer the resignation of Lee and the anointing of Hayes as leader of Tasmania’s first coalition (Nationalist–Country Party) Government, with Lee as Treasurer and Country Party leader, and E. F. B. Blyth as Minister for Lands and Mines. Unfortunately, Tasmania’s ‘financial morass’ was deep, with the state’s huge interest bill swallowing over one-third of annual government revenue, and, despite the report of an economy board, which called for widespread bureaucratic retrenchment, very little was done. In these circumstances it is not surprising that Hayes, as Premier and Minister for Works, received less favourable accolades than he had as Minister for Agriculture. Faced with mounting criticism from within his own party, in August 1923 Hayes resigned. He had been a reluctant premier, leading a fractious majority. With J. C. Newton unable to form a government, Hayes was instrumental in getting the Nationalists to once again accept Lee, but stood aloof from the second Lee Government, which, in the event, survived only three months, when Nationalist rebels, including C. W. Grant, combined with the Labor Party to bring it down. Within a month of his resignation, Hayes had shifted his political stage completely; he was elected by a joint sitting of the Tasmanian Parliament on 12 September 1923 to fill the Senate casual vacancy caused by the death of Senator Bakhap. Hayes’ long Senate career saw him re-elected in 1925, 1928, 1934 and 1940, first as a Nationalist, then as a United Australia Party candidate. His farming background was obvious during Senate debates, for he rarely lost the opportunity to speak on rural matters, believing, as he did, that Australian wealth rested on the farming community. Although ‘not a freetrader’, his attacks upon what he saw as the unfair use of tariffs to prop up inefficient urban manufacturing industries were constant. ‘Pastoralists and agriculturists’, he said on one occasion, ‘have developed their industries without help from any other section of the community, but they are asked to contribute unreasonably towards the support of city industries’. He also criticised arbitration for its effect upon production costs. Like other Tasmanian senators of this period, Hayes strongly believed that Tasmania should be compensated for the financial problems caused by Federation, and he often argued the need for generous, and continuing, Commonwealth assistance to the smaller states. Another target was the Navigation Act, for the harm it did to Tasmanian shipping. Hayes was elected President of the Senate just before ten to three on the afternoon of 1 July 1938, at which juncture Labor’s Senate leader, Joe Collings, promised that the Opposition would ensure the President’s rulings would be ‘in conformity with the Standing Orders’, a promise soon fulfilled. Just after three Collings moved a motion for the adjournment, claiming that the (arcane) wording of standing order 64 did not require notice. Hayes responded by stating that he had received (prior to Collings’ motion in the Senate) a notice of motion from the Government’s Senator Johnston and ruled that Johnston’s motion had precedence. At this Collings moved: ‘That the ruling of the President be dissented from’. As Hayes virtually admitted to the Senate, all this was not an auspicious beginning to his presidency, and the matter went into abeyance until after the winter recess. The issue was raised again in the Senate on 2 November, the day before the House of Representatives debated a want of confidence motion in the Lyons Government, which highlighted the point that essentially the Opposition was upset over the Government’s refusal to adjourn the Senate while a censure motion on the Government was being debated in the House of Representatives. Collings had moved a motion to that effect, the contention having been made, before and since, that ‘when a government is under challenge in the House of Representatives, the Senate should be adjourned and remain adjourned until the motion is determined’. Throughout the tangled debate Collings emphasised that in dissenting from Hayes’ rulings he did not do so ‘with any intention to show disrespect either to yourself or to the high office which you hold’, while Labor’s Senator Cunningham expressed similar courtesies. All dissent motions were lost on party lines, though the final vote on 3 November was tied, with Hayes declaring the motion resolved in the negative. The remainder of Hayes’ term as President indicates a man clearly in charge of proceedings. He faced no more motions of dissent, although his decisions did occasionally elicit debate. On 1 July 1941 Hayes became one of the few parliamentary office holders to lose his position despite his party still controlling the relevant house. At the time of the ballot for the presidency the nominal majority of the conservative parties had disappeared due to Senator Wilson being in the Middle East with the AIF and Senator Allan MacDonald having taken ill on the day. Under standing orders the election of President was by secret ballot, and therefore pairs were not usually arranged. In this case the Labor Party was not prepared to grant pairs even to accommodate Senator Wilson. Two ballots between Hayes and Cunningham produced tied results, and lots were drawn. Hayes expressed himself confused with the rules, which were clarified by the Clerk, Robert Broinowski: ‘The name of one candidate will be drawn, and the name remaining in the box will be that of the successful candidate’. Cunningham’s name was in the box, resulting in cheers from the Labor benches. The outcome caused some bitterness in government ranks. Labor was unrepentant, one senator making accusations of the ‘log rolling and intrigue’ that went on in the government party room before the ballot. Labor’s Senator Courtice tried to soften the blow by thanking Hayes for the ‘great consideration and kindness’ extended to him in his first years as a senator. Hayes did not contest the 1946 federal election and left the Senate at the expiration of his term in 1947. He expressed regret at his departure, stating: ‘During my long term as a parliamentarian I have formed a high opinion of members of parliament. My friends are not all on one side of the chamber’. Labor Premier Cosgrove later praised Hayes for his long period of service to Tasmania. He retired to Launceston in the early 1950s. Hayes had married a cousin, Laura Linda Blyth, on 22 January 1907 at St David’s Cathedral, Hobart. There were no children of the marriage. The devout Hayes worked tirelessly for the Church of England, being churchwarden of St Barnabas, Scottsdale, a member of the Diocesan Council, and chairman of committees for the Tasmanian Synod. He was a trustee of church property at the time of his death. Known to all as ‘J. B.’, he was described as a ‘tall handsome man with a quiet dignity’, who possessed ‘a very good knowledge of the whole of the State’, which stood him in good stead in his various public offices. Throughout his career he was noted for his efforts to moderate party battles. He received the CMG for public service in 1921. This most civilised of men died at Launceston on 12 July 1956 and was buried in Carr Villa Cemetery following a state funeral. Scott Bennett, ‘Hayes, John Blyth’, ADB, vol. 9; Examiner (Launc. ), 18 Jan. 1913, p. 7; CPD, 30 Aug. 1956, p. 9. Examiner (Launc. ), 21 Jan. 1913, p. 6, 15 Apr. 1916, p. 6; Mercury (Hob. ), 24 Sept. 1915, p. 4, 15 Apr. 1916, p. 9; Weekly Courier (Launc. ), 17 Aug. 1922, p. 28; Mercury (Hob. ), 11 Aug. 1922, pp. 4, 5; Lloyd Robson, A History of Tasmania, vol. 2, OUP, Melbourne, 1991, p. 391; W. A. Townsley, Tasmania: From Colony to Statehood 1803-1945, St David’s Park Publishing, Hobart, 1991, pp. 306-7; Mercury (Hob. ), 10 Aug. 1923, p. 7, 15 Aug. 1923, p. 7, 13 Sept. 1923, p. 5; Examiner (Launc. ), 13 Sept. 1923, p. 4. CPD, 11 June 1925, pp. 46-54, 3 Dec. 1929, p. 551, 4 Nov. 1931, p. 1427, 2 Aug. 1934, p. 1183, 18 Mar. 1927, pp. 661–2, 12 Sept. 1928, pp. 6588-92, 2 June 1933, p. 2060. CPD, 1 July 1938, pp. 3017, 3019-22, 2 Nov. 1938, pp. 1048–61, 3 Nov. 1938, pp. 1157–73; Rulings of the President of the Senate, The Hon. J. B. Hayes, 1938-1941, vol. 7, Commonwealth Government Printer, Canberra, c. 1941; J. R. Odgers, Australian Senate Practice, 5th edn, AGPS, Canberra, 1976, p. 617; CPD, 1 Dec. 1938, p. 2484, 9 June 1939, pp. 1580-2, 22 Sept. 1939, p. 1065, 11 Dec. 1940, pp. 915-17. CPD, 1 July 1941, pp. 565–7, 570–1; Age (Melb. ), 2 July 1941, p. 6; SMH, 2 July 1941, p. 9; G. S. Reid and Martyn Forrest, Australia’s Commonwealth Parliament 1901-1988, MUP, Carlton, Vic., 1989, p. 42; Gavin Souter, Acts of Parliament, MUP, Carlton, Vic., 1988, p. 338; Examiner (Launc. ), 26 Sept. 1946, p. 4; CPD, 4 June 1947, p. 3297; Mercury (Hob. ), 13 July 1956, p. 3. Year Books of the Church of England in Tasmania, 1927, 1937, 1951, 1955; F. C. Green (ed. ), A Century of Responsible Government 1856–1956, Government Printer, Hobart, 1956, p. 226; CPD, 30 Aug. 1956, pp. 9-10; Mercury (Hob. ), 1 Jan. 1921, p. 5, 13 July 1956, p. 3; Examiner (Launc. ), 13 July 1956, p. 6, 14 July 1956, p. 6. This biography was first published in The Biographical Dictionary of the Australian Senate, vol. 2, 1929-1962, Melbourne University Press, Carlton, Vic., 2004, pp. 194-197.